is one of the world's leading technical service cooperation focusing on testing, certification, consulting and training. provides solutions for companies in a wide range of industries. 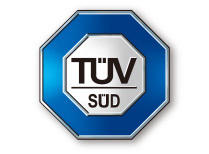 Its service range includes the inspection and certification of industrial plants, the testing of consumer products (such as clothing, sports equipment or toys) to ensure their safe functioning in compliance with official standards, and the provision of management system certification and occupational health and safety services. is proactively involved in international climate-change projects and supports the automotive industry in the design, development and global approval of new technologies.